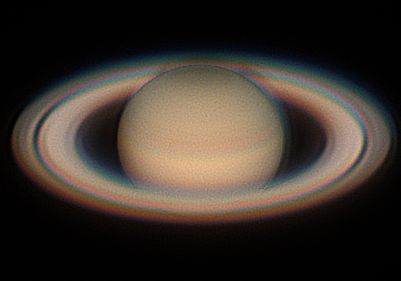 This is Saturn's aphelic opposition for this orbit, at 9.0488095 AU, with the globe spanning only 18.7". 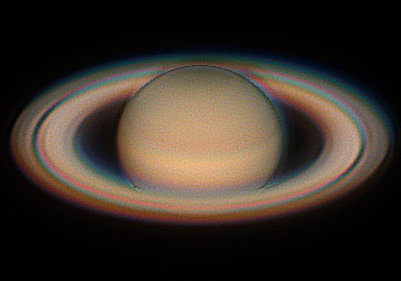 Last year the rings were at max tilt, this year they have begun to flatten, at 26.0 degrees the rings are still visible completely around the planet. 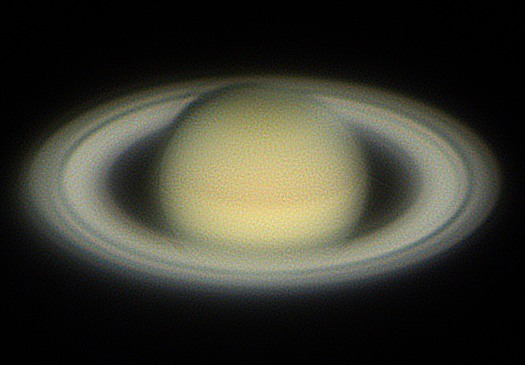 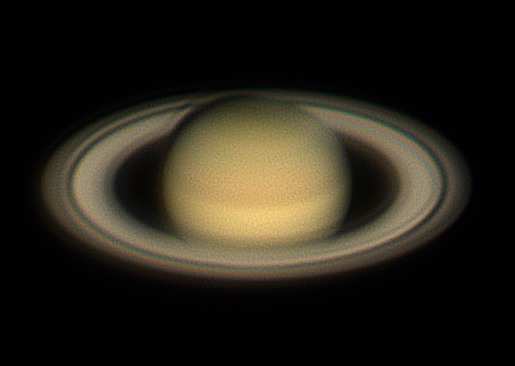 Saturn is only 34 degrees elevation, its lowest, and will be this high again next year before climbing back up the ecliptic.